MIDLAND, Mich., Aug. 27, 2018 (GLOBE NEWSWIRE) — HPIL Holding (the “Company”) ( OTC PINK : HPIL ) is pleased to announce that it has completed the acquisition of a Proximity Marketing Business known as MyFlyWiFi (http://myflywifi.com/) from My Boca Holdings Inc. and Mr. Ray Wong of Boca Raton, Florida. The acquisition of the assets of My Boca Holdings Inc. was made in in exchange for HPIL restricted stock. Proximity Marketing, also referred to as Location Aware Advertising (LAA), enables mobile users to receive an advertising message or other customizable content based on their location. LAA allows advertisers to deliver highly customized promotions, coupons and offers to a highly primed individual, specifically taking into account their geographical location, as well as the time of day and other variables. Also, LAA lets advertisers reach their customers when they are primed to make a purchase. Analysts predict that click-through rates on LAA can be five to ten times (or more) higher than click-through rates on Internet advertising messages. The flexibility of the MyFlyWiFi Platform allows interactive content such as surveys in a hospital setting or personalized coupon redemption in a retail space. In addition to US domestic deployment, HPIL Holding has initiated discussions with parties in other countries to license and install the MyFlyWiFi Technology. The initial target markets include Canada and Europe. 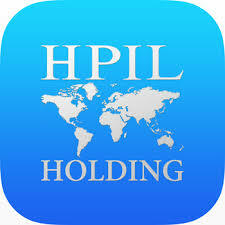 HPIL Holding (http://hpilholding.com) is a diversified holding company listed on OTC Markets. HPIL Holding is focused on investing in both private and public companies in differing business sectors. HPIL Holding does not restrict its potential candidate target companies to any specific business, industry or geographical location and, thus, acquires various types of businesses. HPIL Holding also evaluates the acquisition of intellectual properties and technologies. Safe Harbor / Forward-Looking Statements: Certain statements in this press release are forward-looking within the meaning of the Private Securities Litigation Reform Act of 1995. These statements may be identified by the use of forward-looking words such as “anticipate,” “believe,” “forecast,” “estimate,” “expect,” “plan,” “potential,” “seek,” and “intend,” among others. These forward-looking statements are based on the Company’s current expectations and actual results could differ materially. There are a number of factors that could cause actual events to differ materially from those indicated by such forward-looking statements. These factors include, but are not limited to, substantial competition; our possible need for financing; uncertainties of technological changes; and dependence upon third parties. The Company does not undertake an obligation to update or revise any forward-looking statement. All of the Company’s forward-looking statements are expressly qualified by all such risk factors and other cautionary statements. The information set forth herein speaks only as of the date hereof.